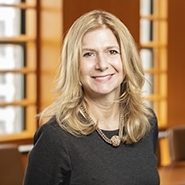 Dena Cohen focuses her practice on commercial leasing transactions, ground leases, and real estate sales and acquisitions. Dena has represented a wide range of prominent landlords and tenants in retail and office leases across the U.S. Her tenant clients have included large financial institutions, well-known restaurants, art galleries, international retailers, television networks and fashion brands in prime Manhattan locations. Dena's diverse experience representing landlords and tenants helps her efficiently negotiate transactions and find creative solutions to thorny issues that can arise during lease negotiations. Dena also represents parties in the acquisition and sale of real estate development rights, as well as outdoor advertising, billboard and signage leasing. Dena has been recognized numerous times by Thomson Reuters' Real Estate Super Lawyers, which identifies lawyers who have achieved a high degree of excellence and professional achievement.